So often I have aimed through the visor at something that should be somewhere up there. Forgetting about the someone at this site of the visor that THINKS+FEELS=BELIEVES something is out there that isn’t already here. Even after the so called ‘awakening’ this was the case, although in more subtle ways. Watching Non-dual vdo’s on youtube, reading non-dual books, tweets and facebook postings, it all proofed there was still something out there that wasn’t fully realized here. And that was especially true, beceause it prooved itself to be true that way. Each and everytime we aim for a target out there, even if it appears to be right here in the body, the mind or in a cluster of beliefs or something that feels as our closest identity, it cannot be realized here. In fact that which was already realized will even seem lost for the moment. Behind every searching is that which makes searching itself possible. It is the ‘thing’ in which the searching itself appears that can’t be found out there by searching. Realize that nameless mistery is you and the searching is over. Life will unfold itself from there, right before your eyes. Nothing to aim for, no questions to ask, no answers required. Expecting to find ‘peace of mind’ or ‘inner peace’ somewhere out there is an adult version of believing in your own lies and fantasies the way kids can do. I am happy that’s over. Or is it more non-dual to say, I don’t mind it’s gone? Frankly I dont give a D. Life is here presenting itself as awareness and a set of current affairs and even comparing this way of experencing life with an old one seems to have left my system. Comparing is still a subtle way of searching and checking and questioning: is this it? Is this really it? Ooh how beautifull, simple and aimless everything is without all that. 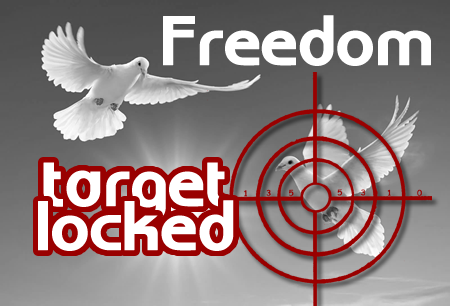 Aimed for freedom and I lost it, forgot all about freedom and I became it.